Buy the Volume Analyst now! Are you Chasing “late” or “after-the-fact” Price Signals? 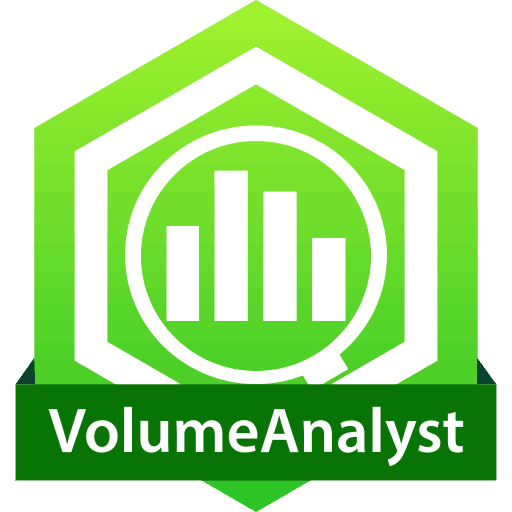 Volume Analyst is a brand-new tool that will allow you to discover leading volume and density patterns that occur at most major trading points in the market. As you well know, Volume is the fuel that powers market movement. Using Volume Analyst will isolate clean signals and in turn, add power to your trading decisions. Volume Analyst is the most advanced volume and range tool available for professional market traders. Full Suite of complete software so you can jump right in without needing any additional add-ons. Real-Time Alerts to keep you updated through Visual, Sound, and Screenshots. Volume and Relative Volume calculation modes for identifying continuation and reversal volume without volume “seasonality”. Density and RelativeDensity calculation modes for specifically isolating reversal volume without volume “seasonality”. Range and RelativeRange calculation mode for identifying narrow range, wide range, inside bar, and outside bar conditions without volume “seasonality”. VolumePerSecond calculation mode for identifying WHERE and WHEN major market participants are transacting. Easy-to-use toolbar controls so you can work QUICKLY with your charts. Lifetime License including FULL updates for life (we are constantly improving our tools to lead the industry! ).